Anthony Oladeji Ojo is a postdoctoral researcher at the University of Strathclyde. He has a PhD from Imperial College, London. Dr. Anthony Oladeji Ojo is a post doctoral researcher at the University of Strathclyde. He has a PhD which researches in the thermofluids division, form the mechanical engineering department, Imperial College, London. He obtained his Bachelor’s degree in mechanical engineering from the University of Ado-Ekiti (now Ekiti State University), Ekiti State, Nigeria, where he graduated with a first class degree in 2009 and was the best graduating student in the University for the 2007/2008 academic session. Then he went to the premier university in Nigeria; University of Ibadan, from where he obtained his Master’s degree in 2012. Subsequently, he joined the department of mechanical engineering, Ekiti State University, as a member of academic staff and as a lecturer. 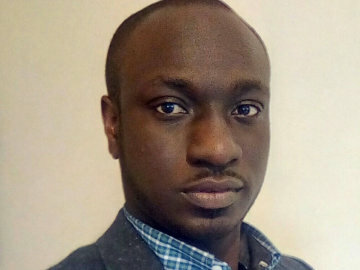 Anthony was sponsored by the Nigerian government through the presidential special scholarship scheme for innovation and development (PRESSID) to purse his doctorate degree at Imperial College London. His research involves the development of an optical measurement technique for simultaneous measurements of gas temperature and velocity, which finds use in practical industrial applications. From his prior and current academic effort, he has some journal publications to his credit. He is keen in merging knowledge acquired by way of research and experience with the development logical approaches to problem identification and solution.